The ISOMETER iso685 is a market leading insulation monitoring device used worldwide in unearthed IT system [AC, AC/DC and DC power supply applications]. 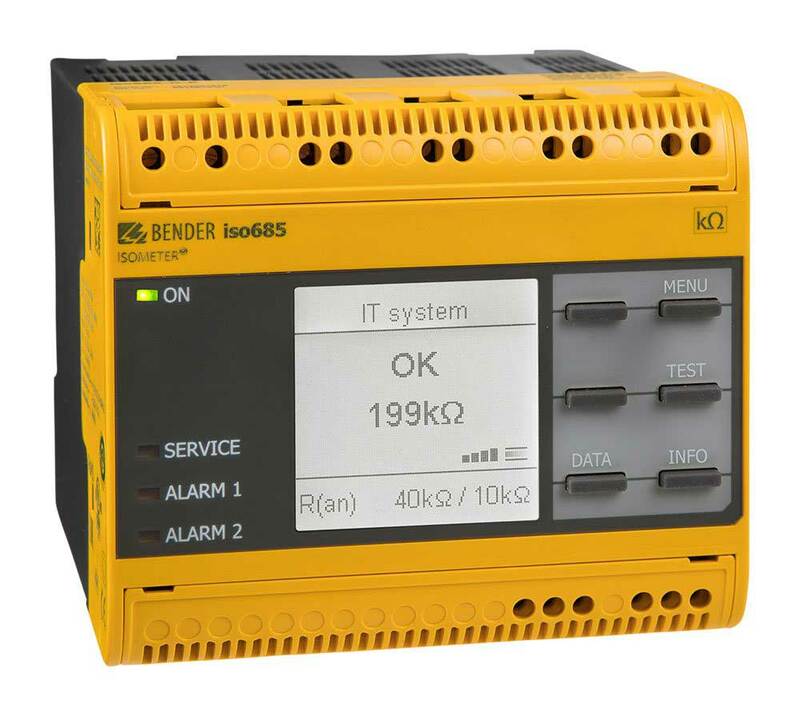 Bender has focused on enhancing capability of iso685 with a new generation of insulation monitoring devices which exactly meet the needs of customers within challenging industry sectors. The latest addition is the isoHR685W-D-B , designed specifically for subsea cable monitoring. State-of-the-art in terms of reliability, measuring technique, operability and design, the new generation isoHR685W-D-B Line Insulation Monitor (LIM) delivers a higher level of integrity monitoring. Operators rely heavily on subsea cabling to cost effectively process natural oil and gases extraction from the seabed. Umbilical cables are vital components within the infrastructure, and failures severely impact production revenue. The cost to install, replace and repair subsea cables is significant, and the operation time consuming. Oil and gas operators therefore demand the earliest possible warning of insulation cable failure, enabling them to be more efficient, and effectively minimise repair costs within planned maintenance programmes. The isoHR685W-D-B monitors subsea and umbilical cables to provide earlier advance warning of cable degradation and failure. It is designed specifically to meet the needs of the oil and gas industry sector. The isoHR685W-D-B continuously monitors cables up to 10GΩ, delivering a huge performance improvement compared to previous versions, and offering very accurate synchronisation of up to 100 isoHR685 to limit cross cable disturbance between long parallel cables. Earlier warning of a developing cable fault gives operators the breathing space to repair/replace and continue extracting from that subsea well. Synchronisation to eliminate cross disturbance on the cable between LIM’s.